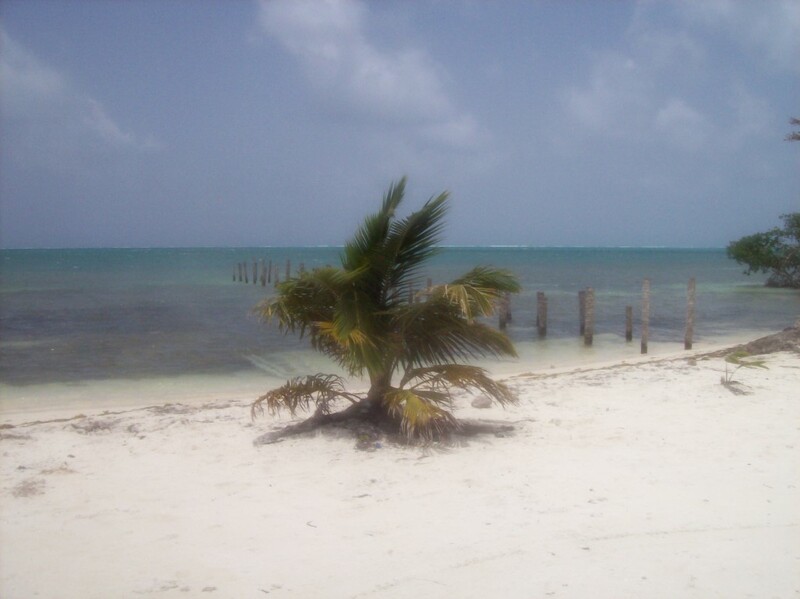 My adventure traveling through Mexico in 2008 somehow landed me in Belize. 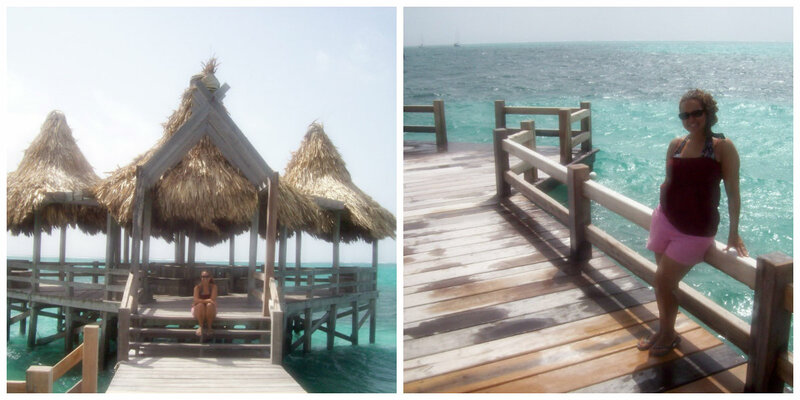 I’d always wanted to visit Belize and thought that the best time to do so would be when I was already in Mexico. I’d made it that far already. I was so close–so close I had to go. I traveled from Chetumal, Mexico which is located near the border of Belize, all the way down to Caye Caulker via Corozal, Saryenja, and San Pedro/Ambergris Caye. It was quite the journey getting to Belize (and returning back to Mexico). A journey I will remember for the rest of my life. I took a taxi to the border of Mexico and Belize with a man and his two children whom I had met in my hostel the night prior. After reaching the border, we walked across the Mexican/Belize border while checking in with the Belize border guards to get a visitation Visa for Belize. A few minutes later, I entered Belize. After walking into the country, we found a taxi to take us to the next nearest coastal city, and from there we would take multiple water taxis all the way down to my final destination—Caye Caulker. Unfortunately, I couldn’t make it to Caye Caulker in one day. I had to stay overnight in a makeshift hostel on Ambergris Caye (one of the most uncomfortable stays of my life). This hostel made the hostels I was staying at in Mexico paradise compared to this place. It felt unsafe, there were no locks on the doors, and you could hear locals getting drunk in the distance (it was an extremely loud place to sleep). As far as I remember, the hostel was run by a family who also lived within the building. They can’t all be nice right? The next day, I took one final water taxi to Caye Caulker. Making it to Caye Caulker made the journey worth it. So I thought. Caye Caulker reminded me of other Caribbean islands like the Bahamas for instance. The island was surrounded by the most stunning turquoise water, beautiful white sandy beaches, the sound of music blaring all hours of the day, and friendly faces. Some areas felt safer than others. Caye Caulker is so small that you can walk the entire tiny island and no cars are permitted on the island. True Caribbean way—go slow! Most of the locals speak English, Spanish, creole, or a mixture of Spanish and English. I love their think accents and relaxed lifestyle. Due to the remoteness of the island, it was more expensive than anticipated, but definitely worth seeing. The one and only hostel on the island was no better than the one I stayed at the night prior. The loud and dirty hostel which was oversold and infested with bed bugs (among other problems) made for an uncomfortable stay. My stay in on Caye Caulker was short lived and I was lucky to leave with only a few bed bug bites and not all of my stuff becoming infested by the creepy crawlers. 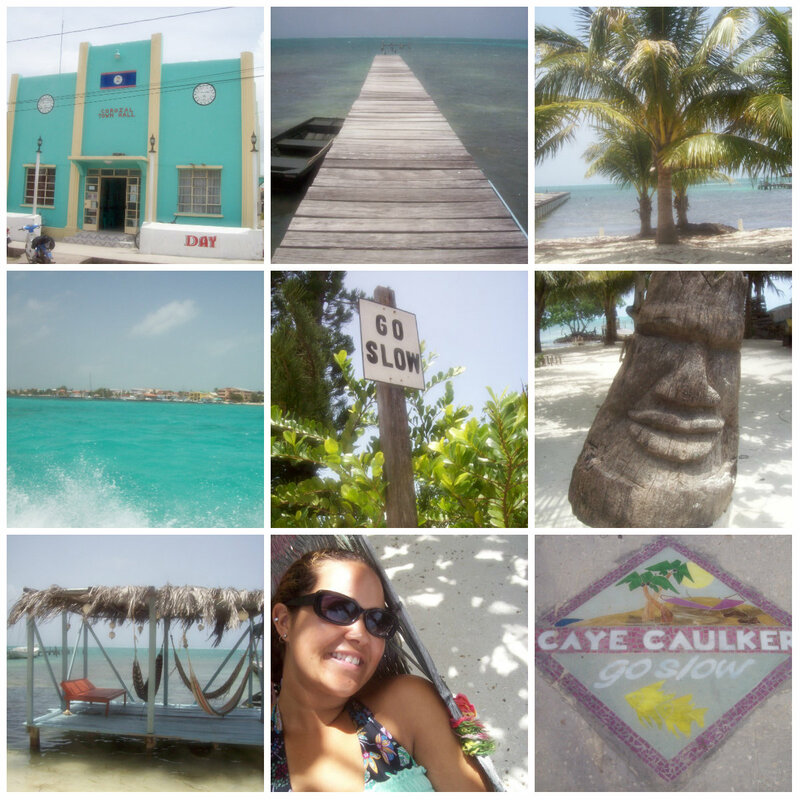 When I left Caye Caulker, I decided to return via Belize City. Even though I had heard Belize City was not the safest place for a solo female traveler to venture, I figured it was the best way to get back to Mexico then the way I had arrived. I had met a few people at the hostel and we all decided to travel together to Belieze City. We took a boat taxi from the island to the city and then walked to the bus station. We waited for hours in the city center bus station snacking on whatever we could buy near the station as we didn’t know when the bus would show up. The local bus eventually arrived and I boarded anticipating the 6 hour bus ride straight for Tulum, Mexico. I didn’t know if the bus would be stopping for food or for bathroom breaks. At this point, I was alone. My new friends and I had parted ways at the bus station. I was heading to Mexico and the rest for Guatemala. Maybe I should have gone with them I thought to myself. 6 hours into the journey, I realized it was not a 6 hour bus ride. I didn’t even know if we were going in the right direction. I tried the best I could to look at my map in my hand guide and match signs I saw on the side of the road to names on the map, while hoping and praying I got on the right bus. I recognized the town Orange so I knew I was nearing closer to the Mexican border. When the bus broke down in the middle of nowhere, I thought that things couldn’t have gotten any worse. They did. I worried that the bus would get hijacked and or that all of my possessions would get stolen. I had heard stories of things like that happening to other travelers. I noticed another couple on the bus who seemed like they were from afar. After speaking with them, I realized they were from Europe. They too were dreading the rest of the drive to Tulum. After a Spanish phrase was said, people started loading back on the bus. I guess we could leave now. Hours later, after dozing in and out of sleep we arrived at the border crossing where we were stopped for ages. I’m not even sure what the problem was. We were eventually let through. At this point, at least I knew I was back in Mexico. It would only be a couple hours more and then I would be in Tulum, Mexico. Twelve hours after departure, I finally arrived in Tulum at 2am and was exhausted and hungry (food would have to wait until morning). Just my luck, after walking to my hostel in the quiet pitch black town the hostel security guard wouldn’t let me in. I guess there were no check-ins after 10pm. Now what was I supposed to do? I had no other options. The nice couple I had met on the bus offered to let me stay with them. What other choice did I have? They didn’t want me to have to find a place on my own in the middle of the night. The three of us found a dingy hotel that was still open that had a room for three. We stayed there for the night. In the morning, we parted ways. I went off to check into my hostel and the couple left for their reservation in Tulum. I later found out that the couple was on their honeymoon and they would be going to their beachside cabana in Tulum. How many people would be so willing to take someone in that they had just met while on their honeymoon? I was gracious to have met such amazing and kind people. We have stayed in touch to this day. I’ve been blessed on all of my trips, but I was reminded on this particular journey that someone was watching out for me. It’s all in the journey right? This entry was posted in Belize, Caribbean, travel, Turquoise Travel and tagged Backpack, Backpacker, Backpacking, Belize, Caribbean, Caye Caulker, Female Traveler, Solo Traveler, Turquoise, Turquoise Compass, Turquoise Life, Turquoise Travel by Turquoise Compass. Bookmark the permalink. Thank you so much. It was quite the journey. One I sometimes hope to forget and other times wish to remember for a lifetime. Great story! I am thinking about travel from Mexico and down central america, also Belize, in the beginning of next year. You said it was not so safe. Do you have any tips/advices for a solo-female traveller going there? There is always a hand, when we need one…. lovely people! I would have been scared too in that broken bus! Very lovely people, my angels! So thankful to them! Not sure when you did this, but couple years ago we took bus from Cancun straight to Chetumal. In Chetumal short distance to boat dock. Quick customs and ferry to Ambergris. 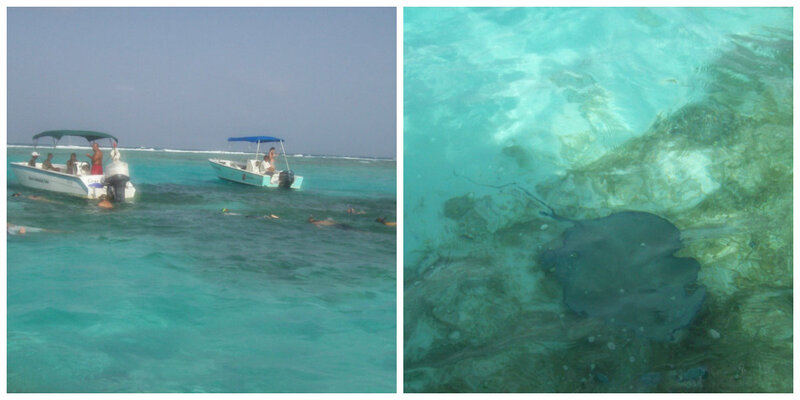 Left Cancun in morning and in Ambergris by mid afternoon. Was great experience. Did same route but with rental car about 25 years ago and it was a very different experience. Ferry between Ambergris and Belize City is also fast ad easy. Last one stopped in Caye Caulker also. Travel in Belize was easy, safe and enjoyable a couple years ago. Hope you try it and enjoy it again. Oh don’t get me wrong, I loved my experience and wouldn’t trade it for the world! It’s just an interesting story to tell. I did this in 2008. I’d love to go back to see more of the country. I didn’t enjoy Ambergris very much as I felt it was very touristy and Americanized (North American). Caye Caulker was much more relaxed and authentic. That’s interesting that you took a ferry from Chetumal to Ambergris. When I was there in 2008, I was told the only way was by bus, walking, or taxi. I took a combination. I didn’t take any “ferries”. The small boats I took would fit about 6-8 people. Very interesting how everyone can have such different experiences. It’s all about the adventures! There is a lot of sweating and second guessing involved. Do ever feel like you’ve made a mistake when you know you are on the right track? Oh boy, yes. Doubt is often riding on my shoulder but it seems to be more easily silenced when I’m out of my comfort zone and only relying on myself. How about you? Of course, this story was one of those days! It all worked out in the end though! As it so often does. It’s quite the paradox. I wonder how things would have turned out had I been less worried and panicked. Maybe our guard would come down which is a bad thing? Good point. That’s so hard to say without doing both. I guess it depends if the guard is up for a good reason (but good is relative, eh?!) or if it’s up due to fear when there likely isn’t anything to be scared of. I read something recently about the use of fear in different situations as well as intuition for decision-making. I didn’t realize that there is more than one perspective about intuition, debates about its existence (when it comes to gut feeling) and how reliable (or unreliable) it can be. It’s all relative I guess. In the end, what ever happens happens for a reason. If it doesn’t work out in the end, it’s not the end. Right? Sounds about right to me. True. It’s hard to say when the end really is. Similar to now when I’m not so concerned about saying that I regret something. I truly believe (finally) that I would not be where I am today if it weren’t for all the things that happened before even if they were uncomfortable and even painful in some ways. Exactly! We learn from our mistakes and are lead to where the different paths we choose take us. That’s a very uplifting mantra! The hostel with no locks sounds particularly scary! I bet you didn’t manage to sleep a wink! Belize looks stunning, though. I love the story of the honeymooners who helped you… but that’s what travelling is about, isn’t it? Yes, that’s what it is truly all about…amazing locations, spectacular people, and unforgettable adventures. I’m glad you stopped by for a visit! Sounds like a brilliant adventure and the honeymoon couple were awesome. It was really nice of them to help you but then, isn’t that what travelling is all about. Sometimes, you meet some of the worst people and you have to deal with it as it comes, and you also get help, advice, and support from amazing quarters. Lovely! Yes, I was “saved” by the lovely honeymooners! You hit it bang on–traveling is all about the people. The people I met along the way have stuck in my mind and heart since I met them. Some of which I have stayed in touch with since then. I’m happy to say that the honeymooners are still happily married and have welcomed a baby into their home!